Once you have uploaded your dataset into Datawrapper and selected the pie chart, you can customize its appearance in step 3: Visualize. 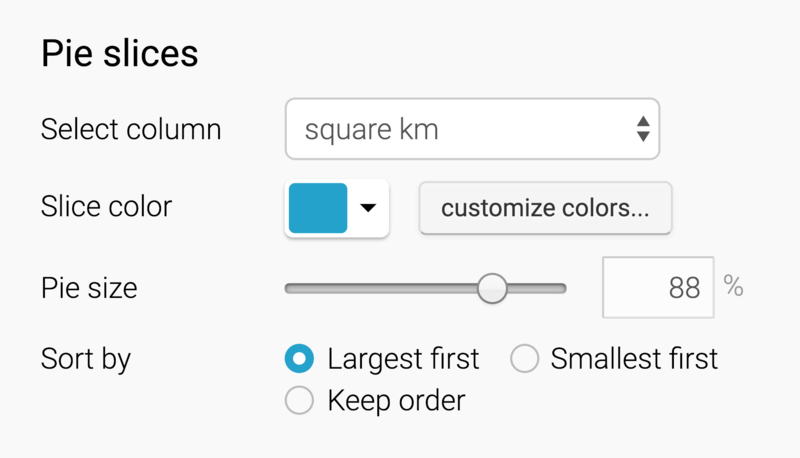 Select column: Here you can choose the column that you want to visualize. By default, your first numerical column is chosen. 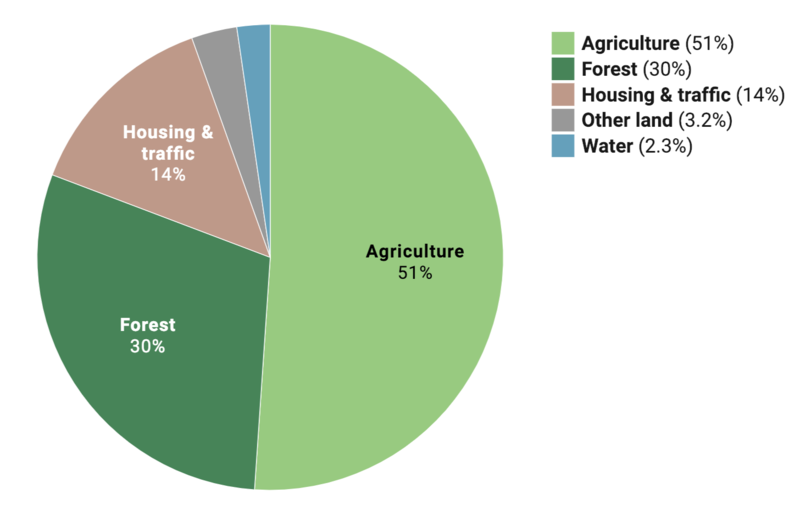 Please note: Your pie chart can only show one numerical column. If you've uploaded more than one column with numbers and want to show all, choose the "Multiple Pies" chart type instead. Slice color: Click on "customize colors" and then select each element to give each slice a specific color. Pie size: You can decide how much margin your pie should have to all sides with this Pie size. Choose a small percentage to keep the total chart height small. Sort by: By default, the slices in your pie are sorted from largest to smallest value. 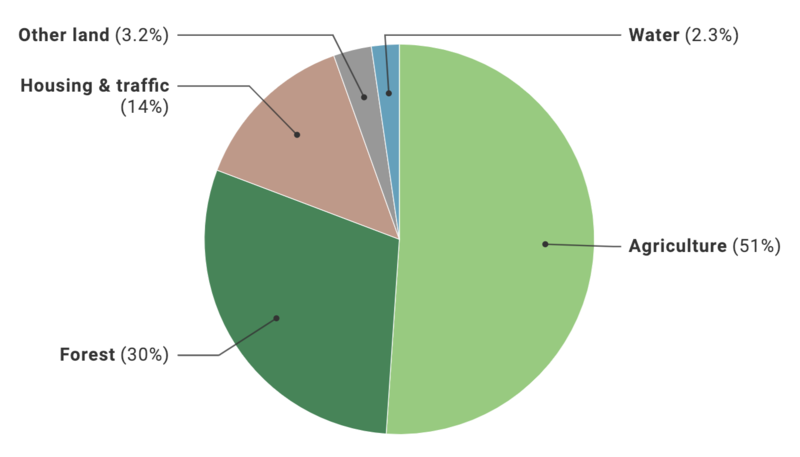 So even if your original values are not sorted, the final pie chart is. You can click on "keep order" if you want to have your pie slices sorted according to you original values. Number format: This dropdown menu has multiple options. They will be especially important in case your numbers are very "long" (e.g. 1,992,394 or 0.4239291) and you want to display them abbreviated (e.g. 1.9m or 0.424). Choose e.g. "123.4k" to turn 1,992,394 into 1.9m. Convert values to percentages: You can upload absolute relative or absolute numbers to Datawrapper to create a pie chart. 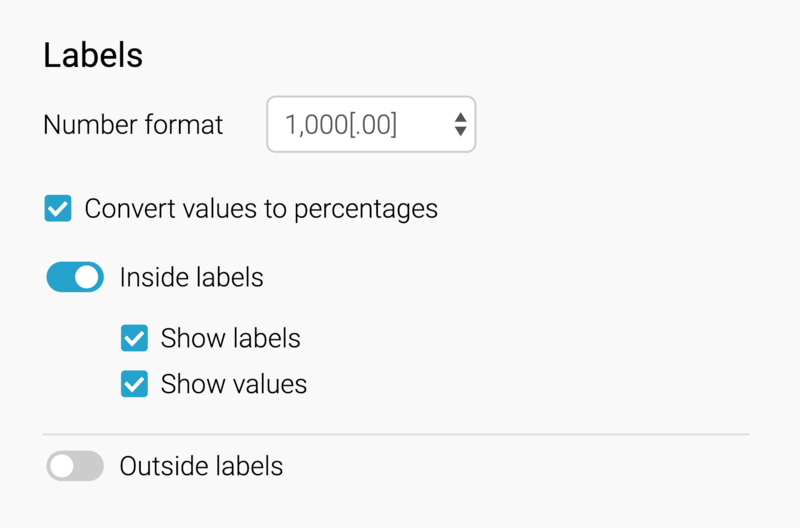 In case you uploaded absolute numbers (like we did for the chart above) and want to show percentages, make sure to enable this option. Outside labels with "Show values" turned on. The color key disabled itself automatically when you turn outside labels, since the available space wouldn't be enough to show both the outside labels and the color key. Position: You can decide if your color key should be at the top, bottom, left or right of your chart. Stack labels: Instead of listing the pie slice names next to each, you can stack these labels. That's only possible if "position" is either "top" or "bottom". Show values: Click if you want to include the values of each slice in the color key (as in the example above). The last group in the Refine tab is "Grouping". If you upload more than five pie slices, the smallest pie slices will be automatically grouped in one slice with a label. Here you can define that maximum number of slices, and what that slice label should be. These are all the options you can find in the Refine tab. Let's move on to the Annotate tab. Here you'll find two options: "Describe chart" and "Highlight elements". 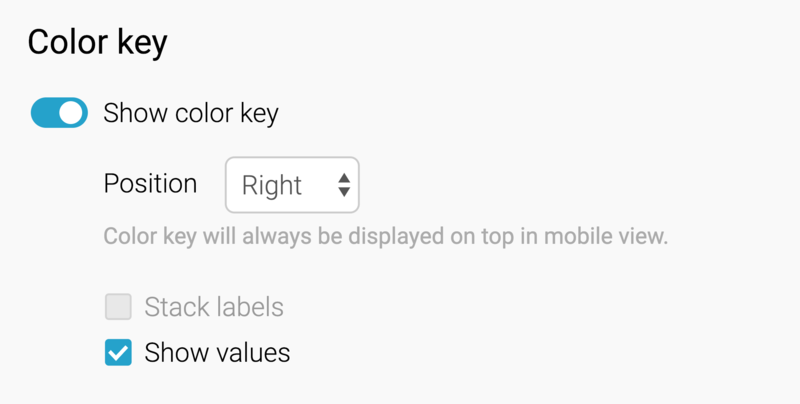 After the Annotate options, there's only one tab left: Design.